Light, color, and solitary cypress punctuate these canvases. While traveling through Tuscany I was inspired by the timelessness and classic beauty. It drew me into this series that uses plaster and oil on stretched canvas, working from the lens of the style and technique of the Italian masters. 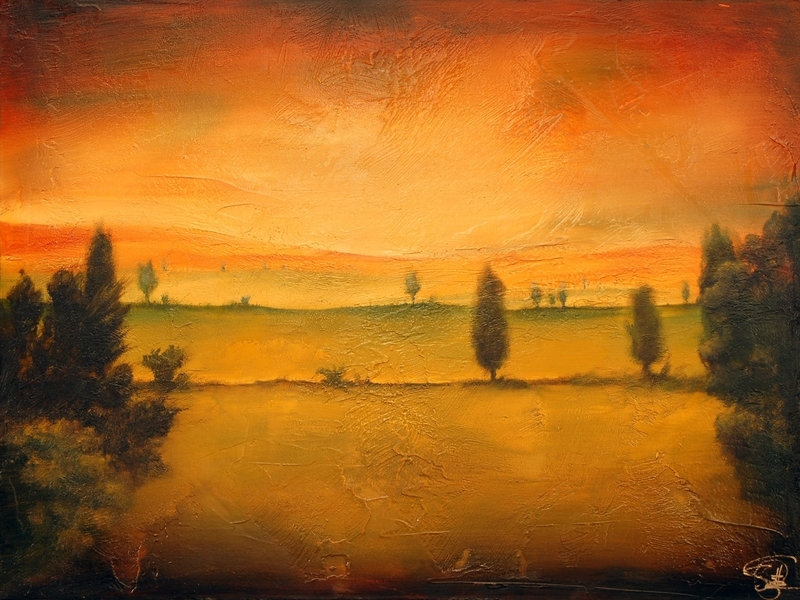 The seemingly endless horizon in the paintings reflect an infinite beauty from Tuscany. Where the cypress stand with elegant personality.